A gathering of photo galleries and news articles from past events, courses, and programs. 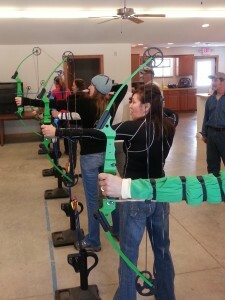 “Those of us that participated in the Heritage Shooting Intro to Archery class this past Saturday had a terrific time! We shot indoors at the lovely Stone Bank Sportsmen’s Club clubhouse with coffee, kringle and archery. We learned so much, had so much fun and all really did well! We shot at targets, balloons and some very fun props. We are very interested in continuing our archery skills. 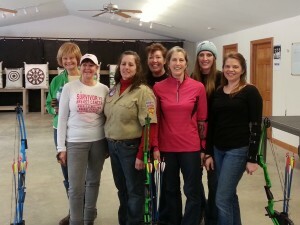 Our instructors including the happy peppy Mary Sielaff were terrific. If possible, we’d like to do it again. If Heritage offers this morning class once again I’ll keep you posted. It was SO much fun and it’s very addictive! Kudos to Valerie (one of us GWG) for getting her apple! 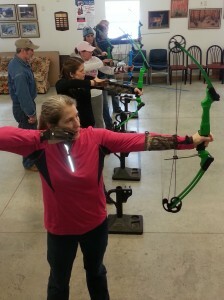 Not easy to do at 15 yards. Thank you to the volunteer instructors from helping us make this program available and a special thank you to Mary Sielaff for really driving the idea to reality. Let us know when you want to do it again!!! Heritage Shooting, Inc. is a domestic non-stock, non-profit (501(C)3) corporation organized to promote interest, education, and safety in all shooting sports. 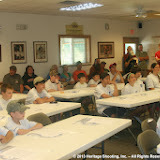 Heritage Shooting's facility is located on the grounds of the Stone Bank Sportsmen's Club in Ashippun, WI.